What we have left in the West are four franchises seeking their first Stanley Cup championship in the Presidents’ Trophy-winning Nashville Predators, Winnipeg Jets, San Jose Sharks and the expansion Vegas Golden Knights. This is only the third time that the final four teams in a conference were chasing their first NHL championship. The other times were in 1984 (Minnesota, St. Louis, Edmonton and Calgary) when the Oilers won the Stanley Cup and in 2012 (St. Louis, Los Angeles, Phoenix and Nashville) when the Kings won the league crown. The Predators, Jets, Sharks and Golden Knights were rather impressive in their first-round victories, receiving balanced scoring, strong defence and outstanding goaltending. The Predators and Sharks lost to the Pittsburgh Penguins in the Stanley Cup final in 2016 and 2017, respectively. The skinny: This second-round matchup pits the top two teams overall against each other and two of the three Vezina Trophy candidates in Winnipeg’s Connor Hellebuyck and Pekka Rinne of the Predators square off. 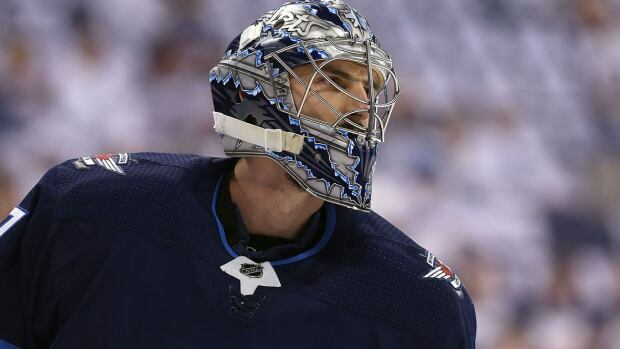 Hellebuyck finished his first-round series with back-to-back shutouts, while Rinne blanked the Colorado Avalanche in his series finale. The Jets enjoyed the best home record in the regular season at 32-7-2 and went a perfect 3-0 in front of their loud and proud capacity crowds at the Bell MTS Centre. But the Predators took three of four points in their two regular-season trips to the Manitoba capital. This should be an extremely physical series. The Predators took 27 minor penalties against Colorado. Only the Philadelphia Flyers had more in the first round at 29. This series also features possibly the best group of forwards in the league with the Jets against Nashville’s defensive corps, considered tops in the league. Jets defenceman Toby Enstrom appears healthy and ready to return after missing the last eight regular-season games and the entire series against the Minnesota Wild with a lower-body ailment. The original Jets franchise reached the second round twice and they were swept on both occasions by the Edmonton Oilers, in 1985 and 1987. Player to watch: Jets defenceman Dustin Byfuglien. Big Buff is eight years removed from his championship run with the 2009-10 Chicago Blackhawks. He played extremely well in the first round — some of his best hockey in a long time —and he needs to continue to be a force for the Jets to have a chance against Nashville. Prediction: Predators in seven. This likely will be a homer series and edge goes to the Predators because they have home-ice advantage as well as a knack for less-heralded players like Austin Watson and Colton Sissons to step up with key goals. The skinny: Both teams are coming off sweeps and lengthy layoffs. The Golden Knights clinched their 4-0 win against the Los Angeles Kings on Apr. 17, one day before the Sharks finished off the Anaheim Ducks in four games. Both teams had success in the first round because of strong team defence and solid goaltending in Marc-Andre Fleury (Vegas) and Martin Jones (San Jose). The Golden Knights needed four one-goal wins in the first-round, but allowed the fewest goals against with three. The Sharks outscored the Ducks 16-4 in their series. Keep an eye on Golden Knights forward Ryan Carpenter. He was waived by San Jose and picked up by Vegas on Dec. 13. Sharks could get back veteran centre Joe Thornton, out since right knee surgery on Jan. 25. He has, however, been ruled out for the series opener. Player to watch: San Jose defenceman Marc-Edouard Vlasic. The Sharks shutdown blue-liner led his team in ice time at 24 minutes, 36 seconds. He and his defence partner Justin Braun will have to be at their best to hold the Golden Knights top line of Jonathan Marchessault, William Karlsson and Reilly Smith. Prediction: Golden Knights in seven. It took many of us too long to figure this out in 2017-18: You don’t bet against Vegas and its band of castoffs.